Dial one of the following numbers 24 hours per day/7days per week. call extension 4711 or (256) 890-4711. We suggest that students and employees place these numbers in their cell phone quick-dial list. Also see Campus Police directory. The primary purpose of the Emergency Preparedness Plan at Calhoun Community College is to ensure the continued health and safety of Calhoun students, employees, and campus visitors should any emergency event occur. The College is committed to providing appropriate information to students, faculty, and staff to assist them during campus emergencies. The College has an Emergency Operations Plan available for review in all campus offices and on-line, and posts evacuation maps in strategic locations. An Emergency Preparedness Committee (EPC) is charged by the President to review the manual on a regular basis and to suggest revisions and improvements to the Emergency Response Procedures in order to maintain and improve those processes. The EPC has recommended that all college employees receive emergency response and evacuation training at least once a year, preferably during the College’s annual In-Service meetings held at the beginning of Fall semester and during the Spring semester. The College Administration also works with appropriate community emergency response agencies to test, evaluate, and upgrade the Emergency Preparedness Plan on a regular basis. When feasible, the College conducts mock emergency drills to simulate a variety of emergency events, such as domestic violence, terrorist attack, natural disaster, etc. Calhoun Community College has two Emergency Notification systems currently in place. The primary emergency notification tool is CCC ALERT. Each student, faculty and staff member is automatically enrolled in CCC ALERT through their Calhoun SPACE (email) account. In addition, students and employees are encouraged to add additional phone numbers and/or email addresses they wish to be used for notification of emergency situations. CCC ALERT allows for both text and voice messages on cell and/or land lines, as well as email messages. 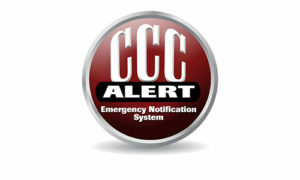 In the event of an emergency of any kind, messages are sent to all CCC ALERT recipients in a matter of minutes. The system has been tested several times during the past year for weather-related closings and has performed as expected. A second emergency notification tool used by the College is a public announcement intercom system installed on both campuses. The intercoms can be activated either for individual buildings or for campus-wide messages through phone communications. The system is initiated by specified individuals appointed by the President. Pre-written scripts for those communications are provided to the appropriate individuals in order to standardize the messages and to enhance the speed and efficiency of dispersing emergency information to the Calhoun campus community. 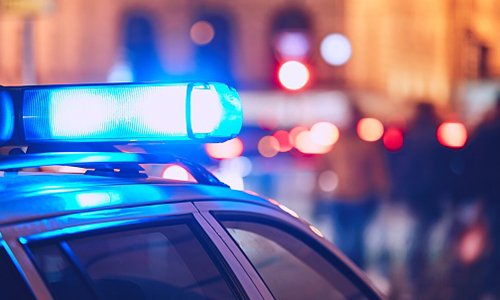 To most efficiently manage the information flow regarding any emergency situation, the College’s Public Relations department serves as the Point of Contact for local media and community information requests.